How Do I Reset the Check Engine Light on my RAM 1500? 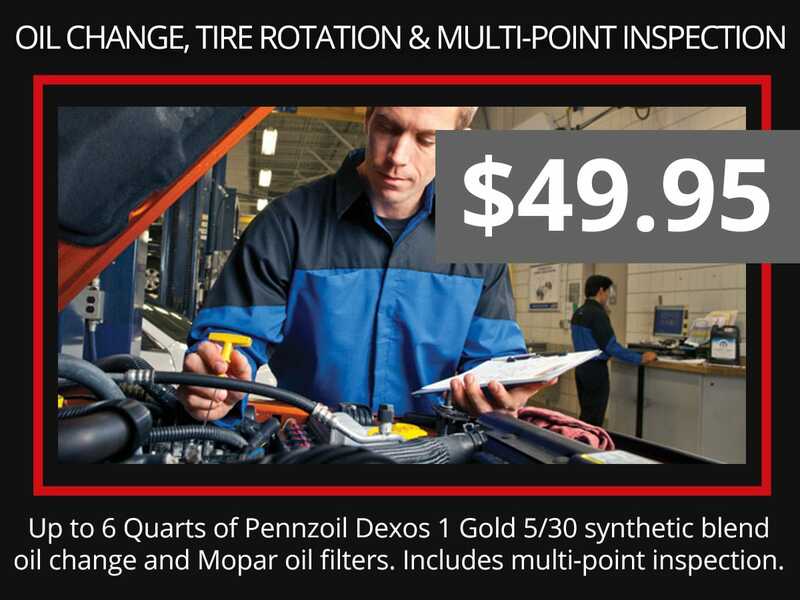 Up to 6 quarts of Pennzoil Dexos 1 Gold 5/30 synthetic blend oil change and Mopar oil filter. Includes tire rotation and multi-point inspection. TWO (2) 6 quarts of Pennzoil Dexos1 Gold 5/30 synthetic blend oil change and Mopar oil filters. Includes multi-point inspection. 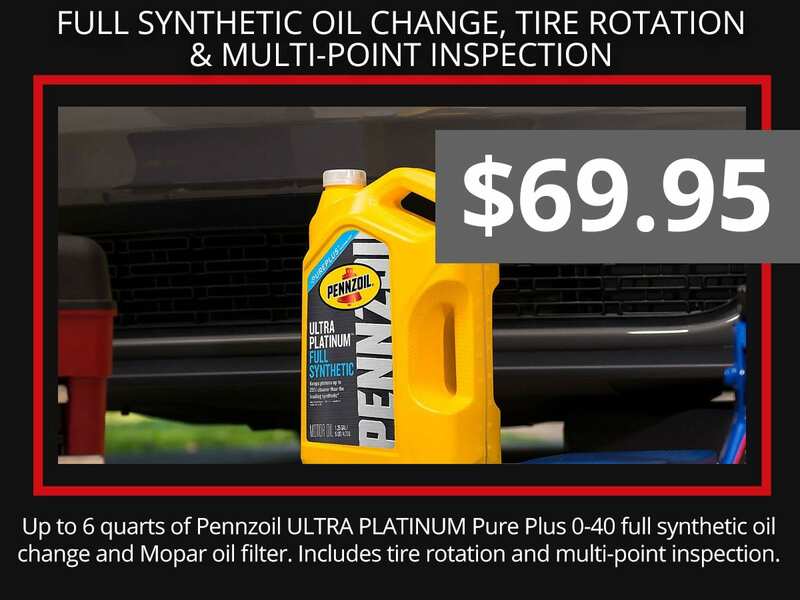 Up to 6 quarts of Pennzoil ULTRA PLATINUM Pure Plus 0-40 full synthetic oil change and Mopar oil filter. Includes tire rotation and multi-point inspection. 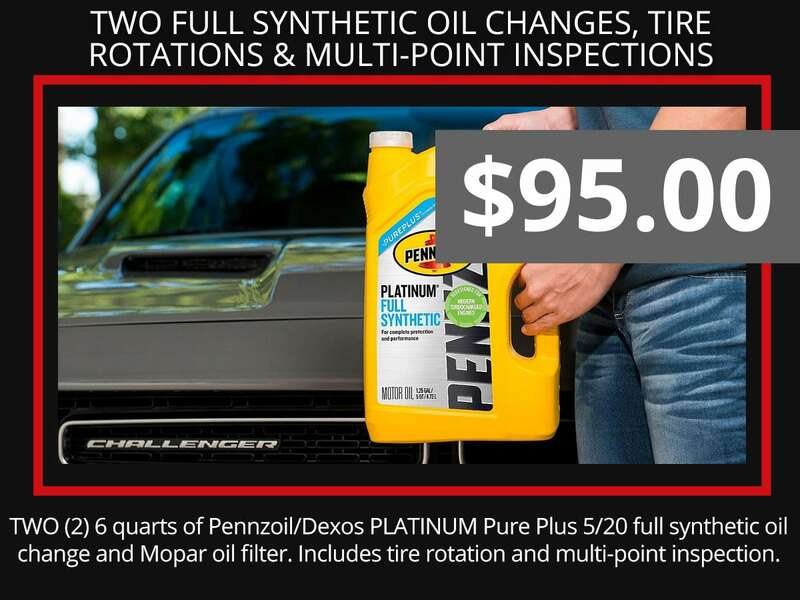 TWO (2) 6 quarts of Pennzoil/Dexos PLATINUM Pure Plus 5/20 full synthetic oil change and Mopar oil filter. Includes multi-point inspection. 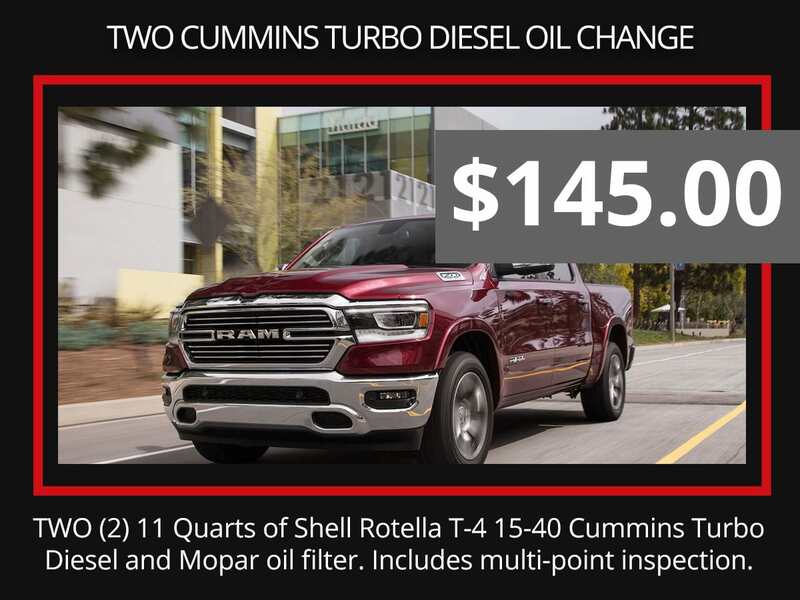 Up to 11 quarts of Shell Rotella T-4 15-40 Cummins Turbo Diesel and Mopar oil Filter. Includes Multi-point inspection. Up to 12 quarts of Shell Rotella T6 5-40 Cummins Eco Diesel and Mopar oil Filter. Includes Multi-point inspection. 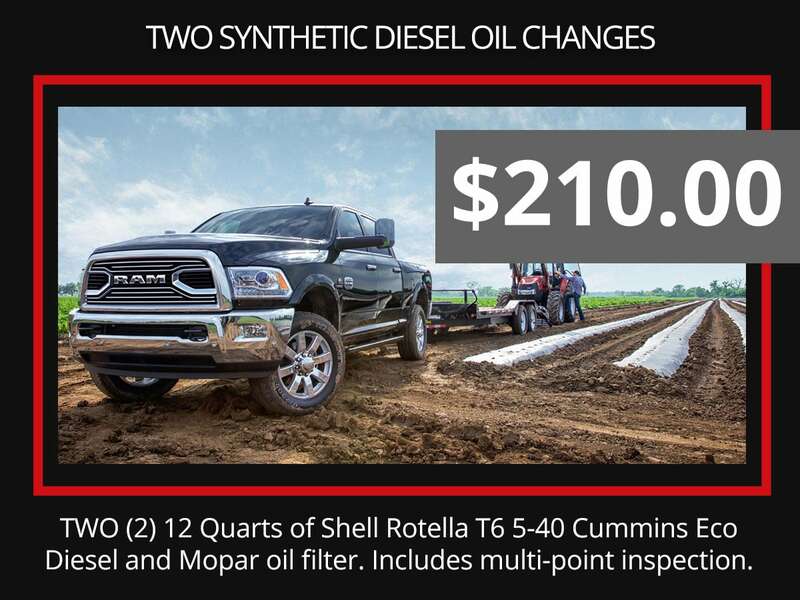 TWO (2) 12 quarts of Shell Rotella T6 5-40 Cummins Eco Diesel and Mopar oil Filter. Includes Multi-point inspection. 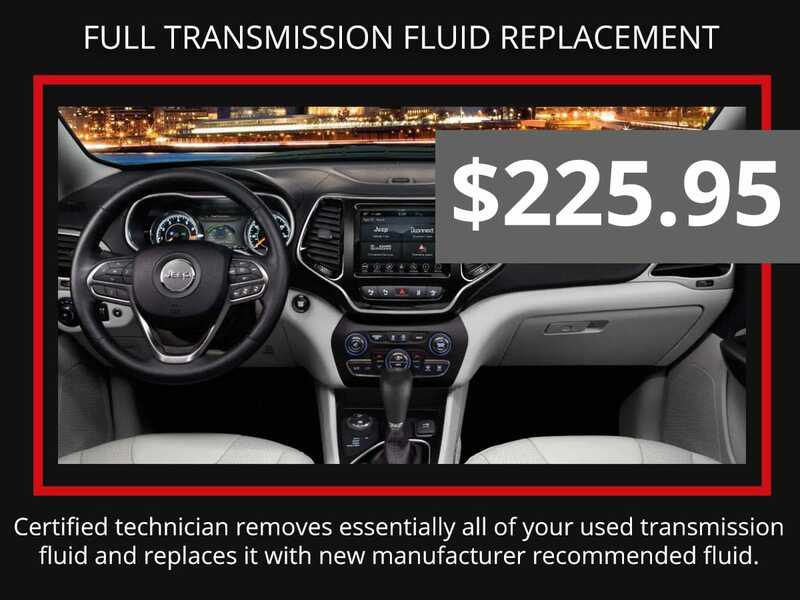 Certified technician removes essentially all of your used transmission fluid and replaces it with new manufacturer recommended fluid. 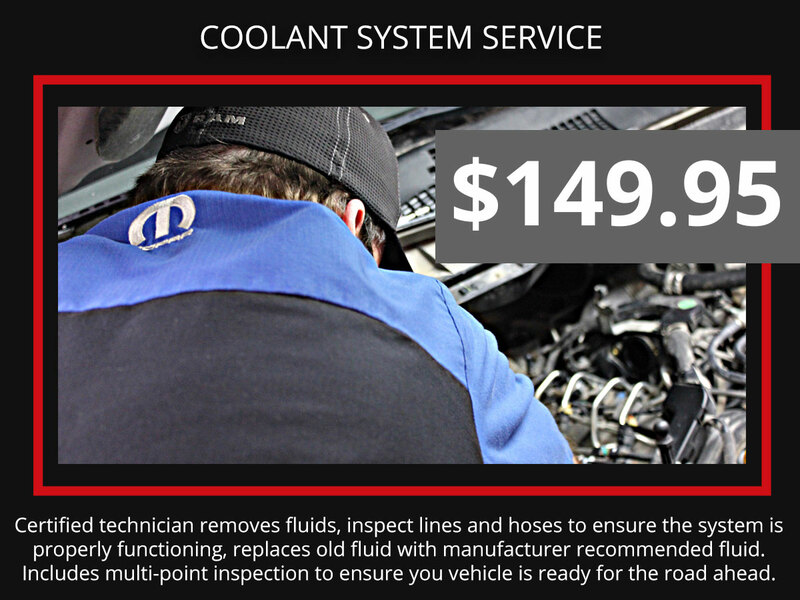 Certified technicians remove fluids, inspect lines and hoses to insure the system is properly functioning, replaces old fluid with manufacturer recommended fluid. 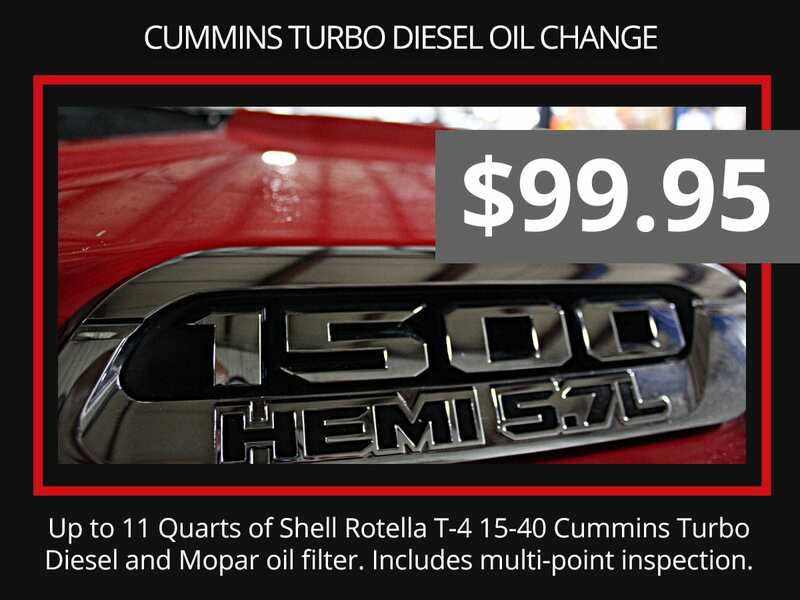 Includes multi-point inspection to insure you vehicle is ready for the road ahead. 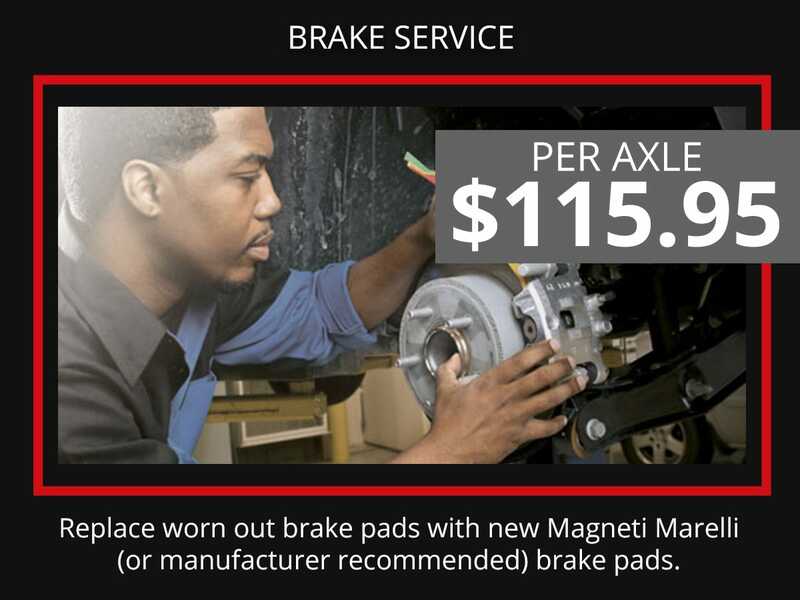 Replace worn out brake pads with new Magneti Marelli (or manufacturer recommended) brake pads. 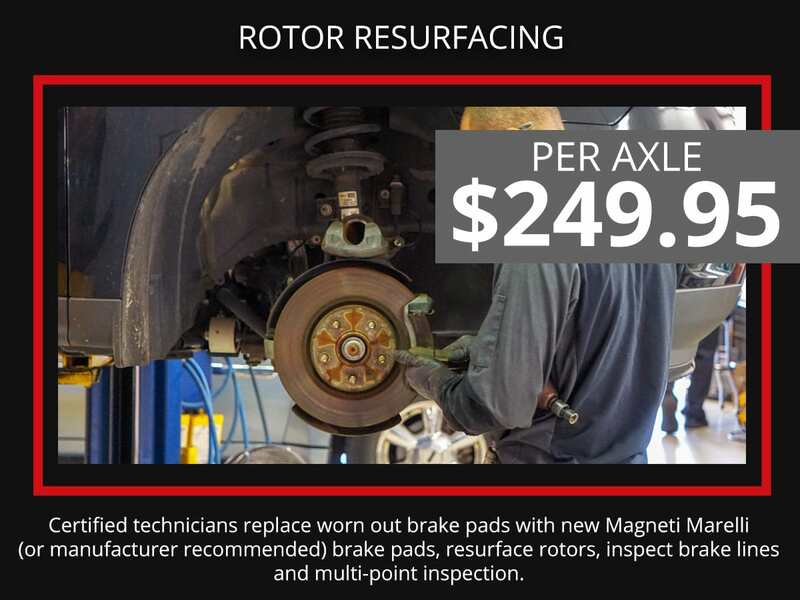 Certified technicians replace worn out brake pads with new Magneti Marelli (or manufacturer recommended) brake pads, resurface rotors, inspect brake lines and multi-point inspection. 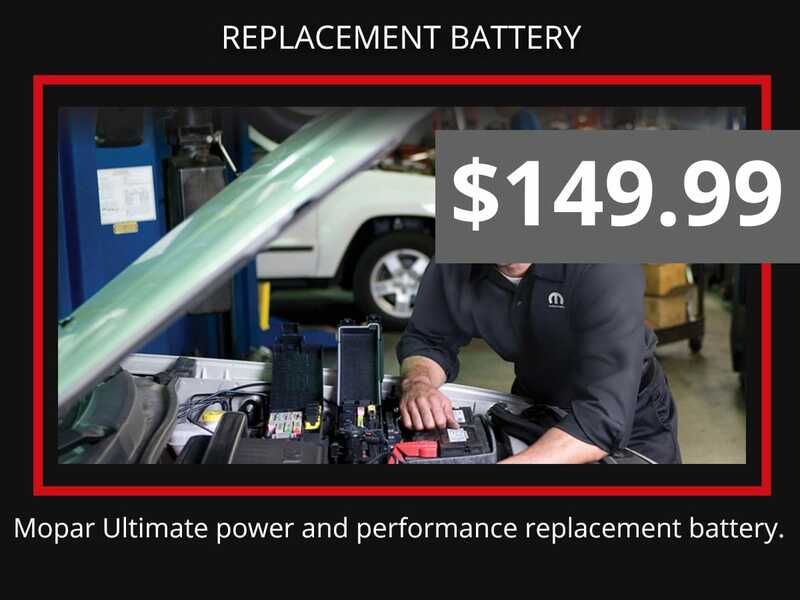 We guarantee ALL repairs performed by our service department for 3 years or 36,000 miles. 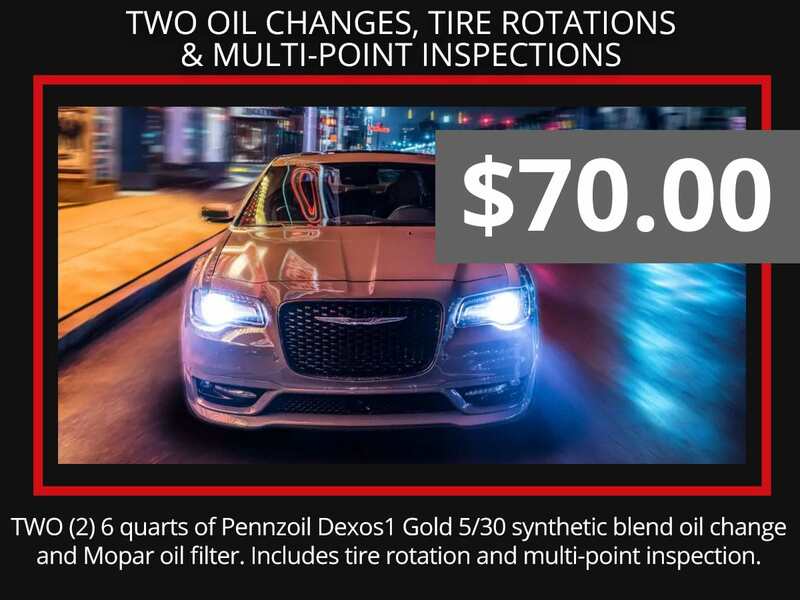 Save on your next oil change, tire rotation, or other routinely scheduled maintenance with the MOPAR service specials and coupons available at Gregg Young CDJR. 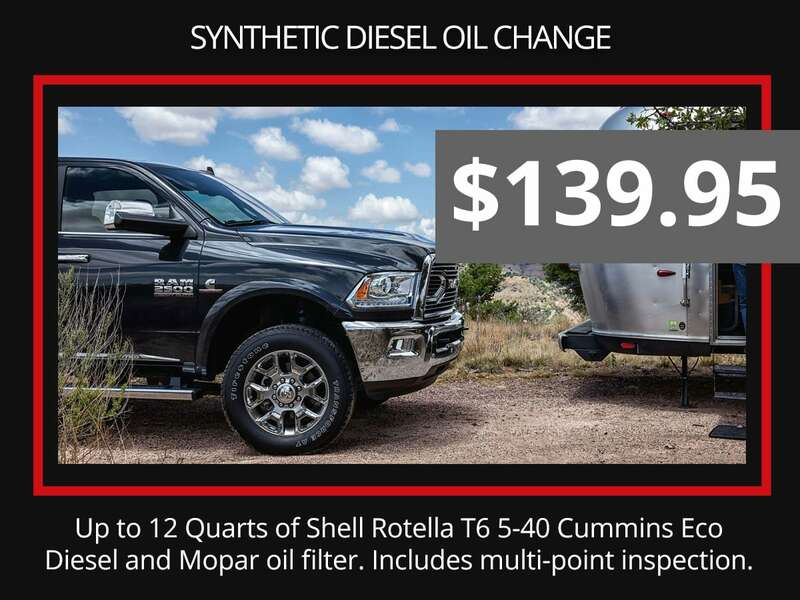 Our service specials for Alda and Doniphan drivers make vehicle maintenance more affordable, and you can count on our expert MOPAR service technicians to keep your car, van, or SUV running safely in top condition. 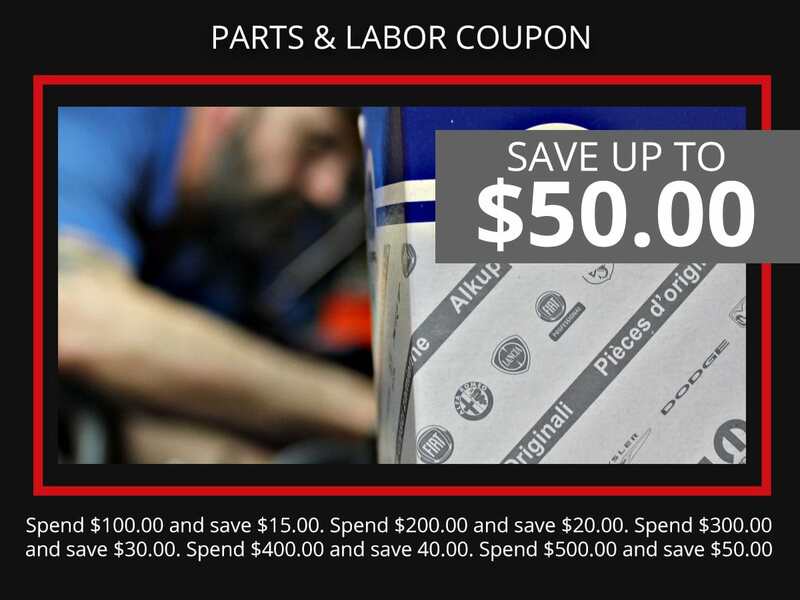 Explore our current service specials and coupons below, and check back every month to see our latest offers on the car maintenance you need near Giltner. Certified technicians who are trained to maintain Chrysler, Dodge, Jeep, Ram vehicles. Express Lane for fast and affordable oil changes and other routine maintenance. No appointment is necessary! Early bird hours, Saturday service, free Wi-Fi, complimentary shuttle service, and more. A parts center that offers a comprehensive selection of genuine MOPAR OEM parts and accessories. 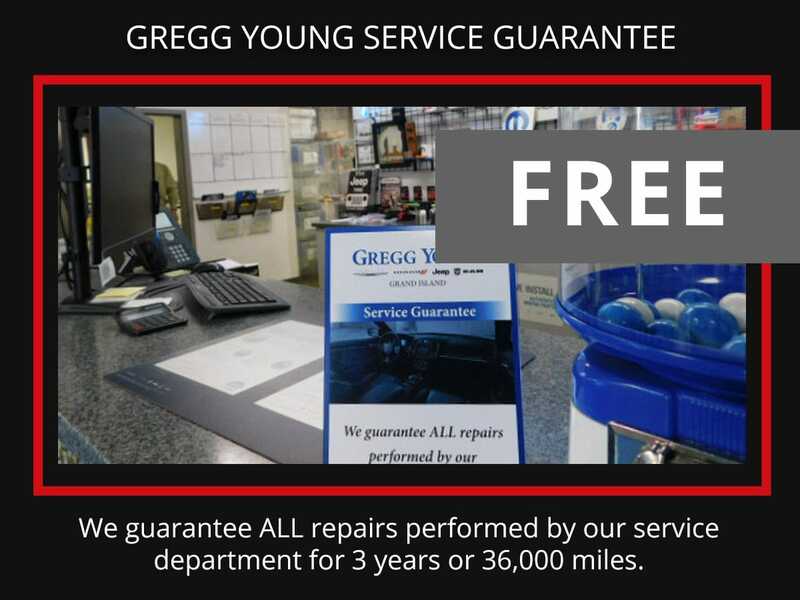 Put our expert service techs to work for you by scheduling a service appointment at Gregg Young CDJR today! Gregg Young CDJR	40.9035702, -98.3390116.